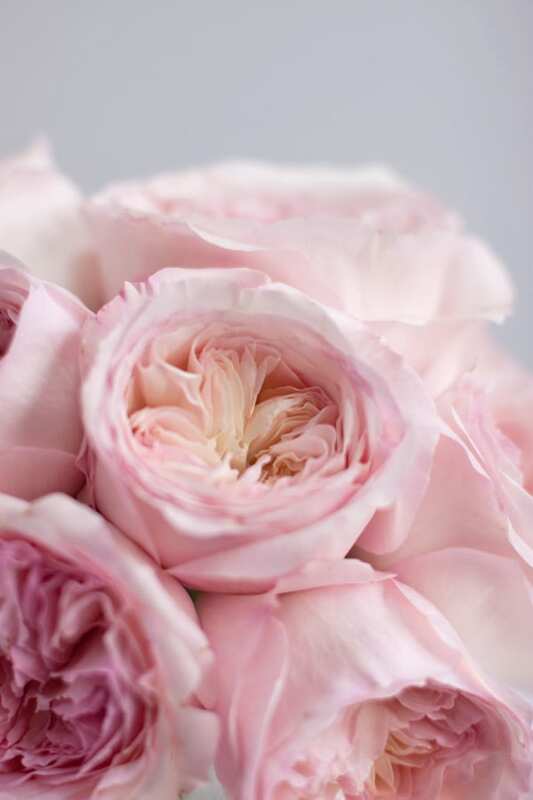 With wedding season well under way, today’s Wedding Wednesday blog post features a David Austin Roses Guide to help you choose if you’re a bride-to-be or wedding florist. Renown for their astonishing beauty, these luxury roses really do add a ‘WOW’ factor to bridal designs! 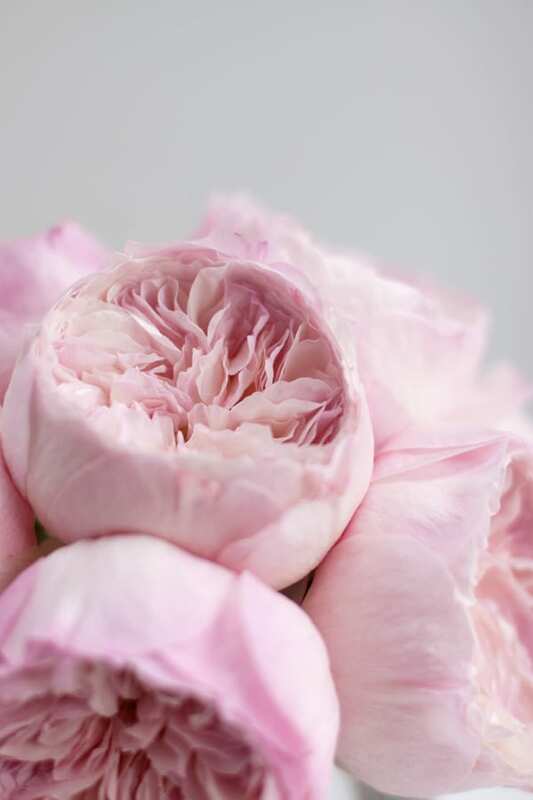 It’s their amazingly intricate petal structure which I adore…and some of them have an exquisite scent too! The roses featured in this post are from Alexandra Farms, which is based in Colombia, and they’re exported all over the world. 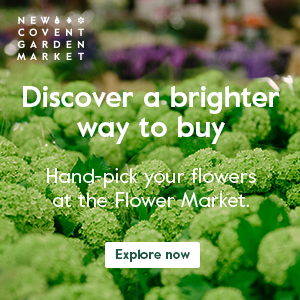 In the UK, they’re available from flower wholesalers nationwide, including New Covent Garden Flower Market in London. And these particular roses were imported by Optimus Flowers. 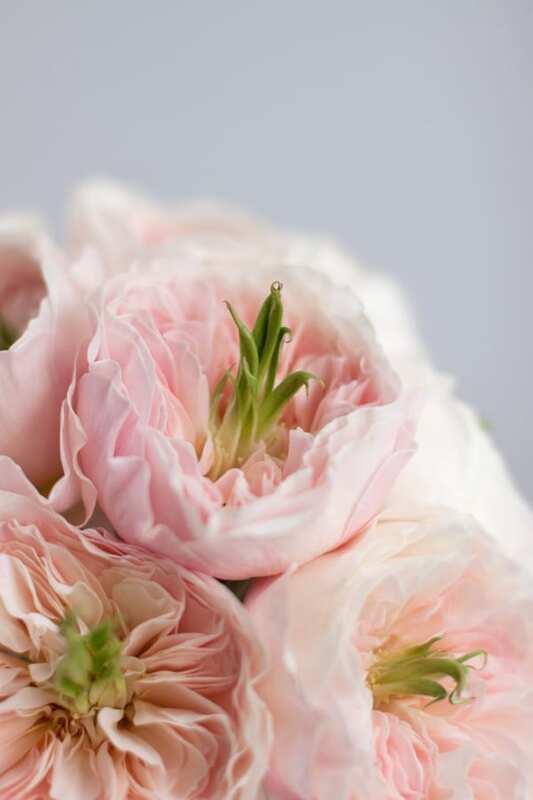 One of the newer David Austin varieties, Constance is a fragrant rose with white petals splashed with pale pink. For those looking for a rose with a difference, Charity has a green centre to complement its fragrant pale peach petals. 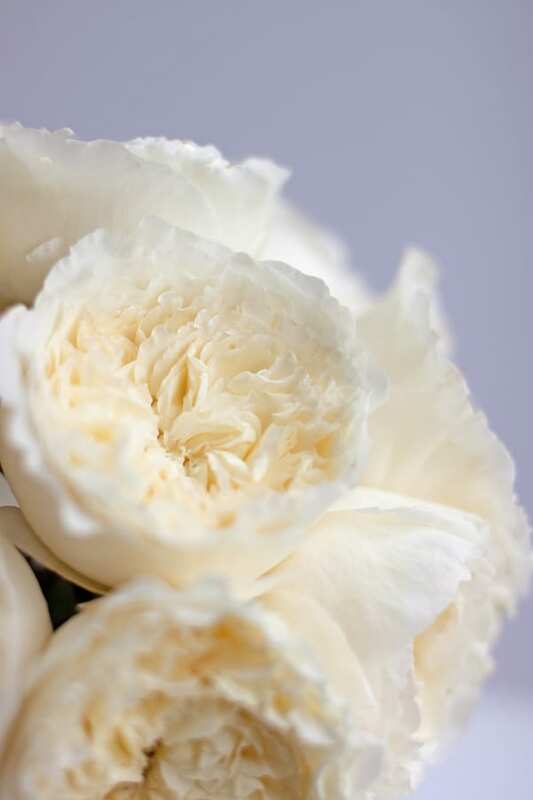 If you’re looking for a creamy white rose for a wedding, beautifully scented Patience is definitely the one for you. Or for something slightly more yellow and fragrant, then choose Beatrice. 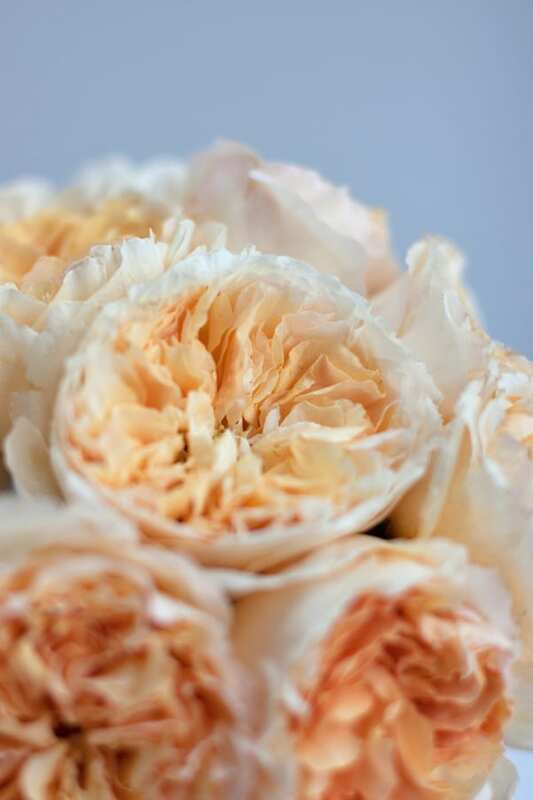 It has an inner yellow/peach centre with lighter creamy petals on the outside. 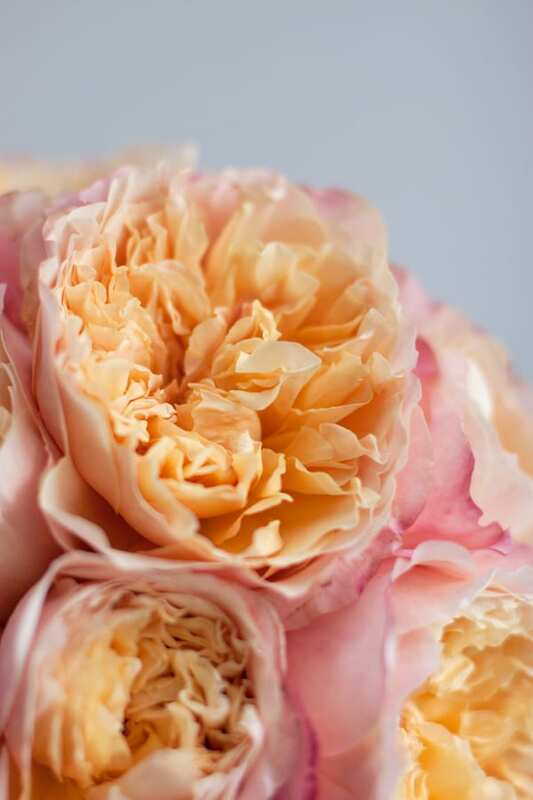 Apparently Juliet has appeared on the cover of more flower magazines than any other rose variety…and I can certainly understand why! 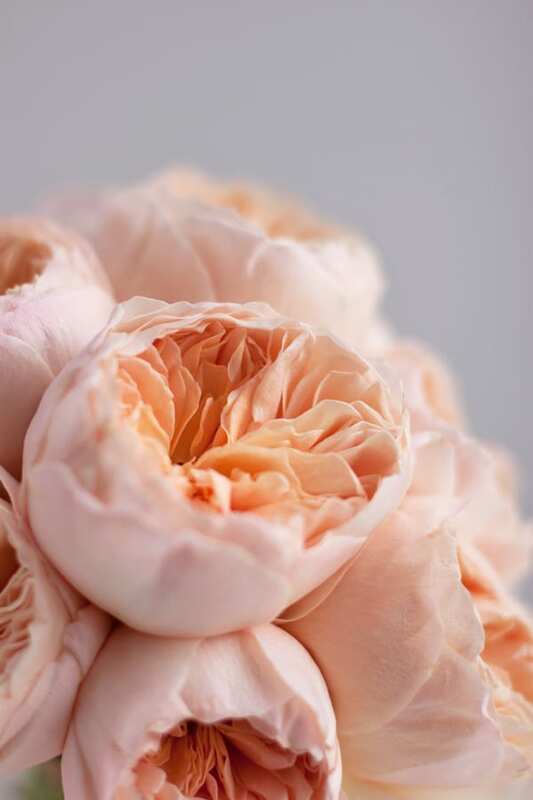 It’s absolutely stunning with its soft peach petals. 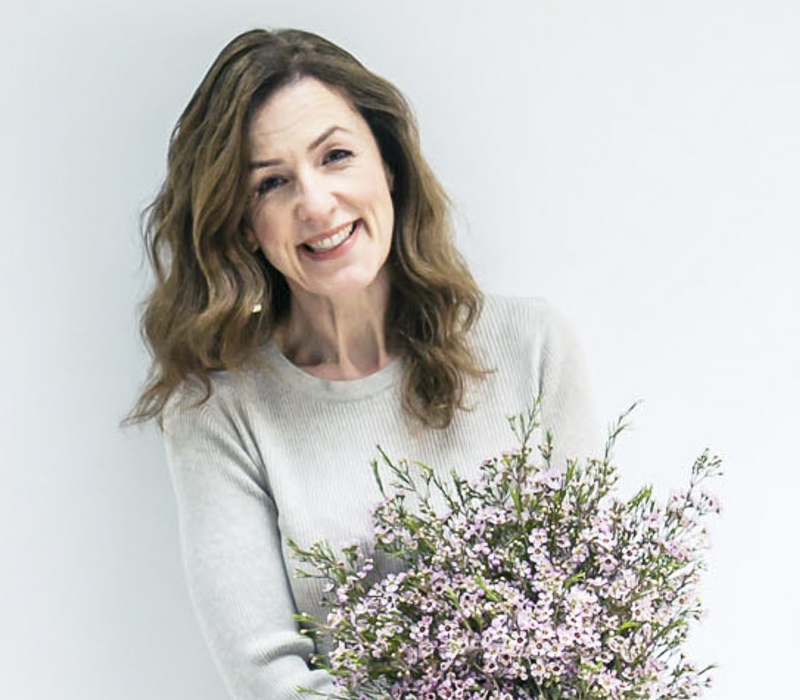 You may like to read this blog post, which I wrote showcasing wedding flower designs which feature this particular variety. 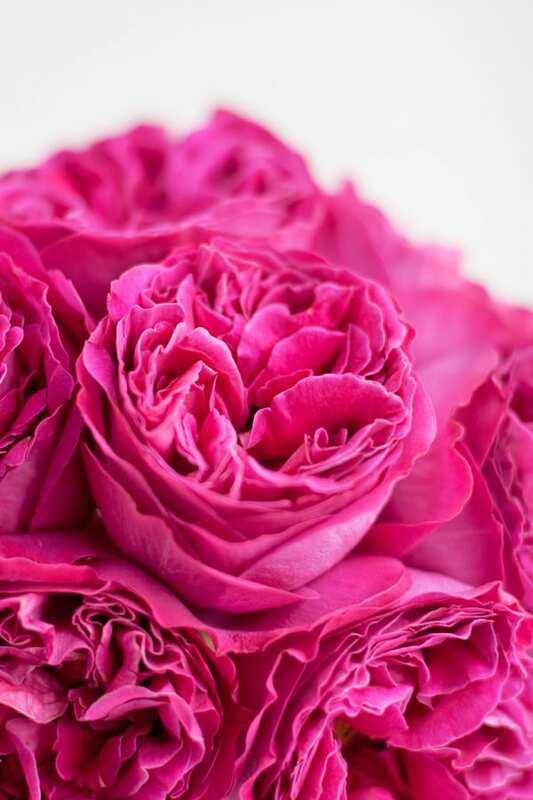 If you’ve set your heart on a more vibrant hue, then Darcey with its hot pink petals is the perfect choice. 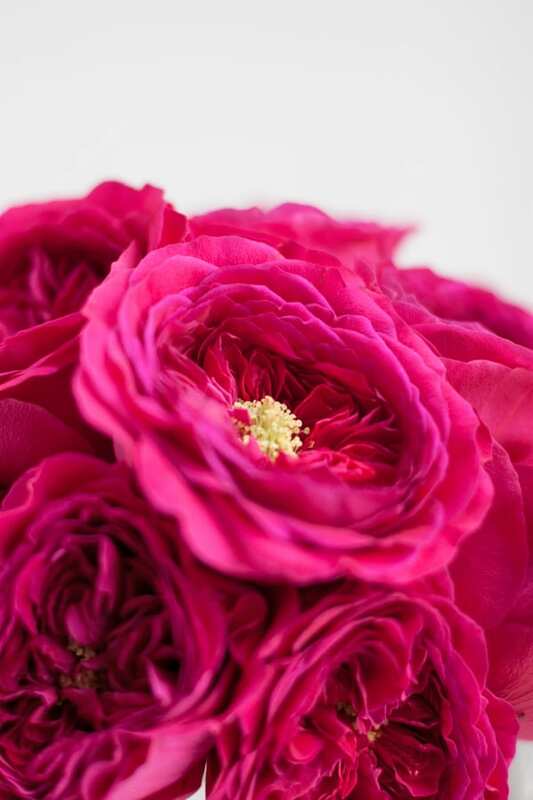 For a scented deep pink rose, choose Kate. It was named in honour of the Duchess of Cambridge, in celebration of the Royal Wedding. 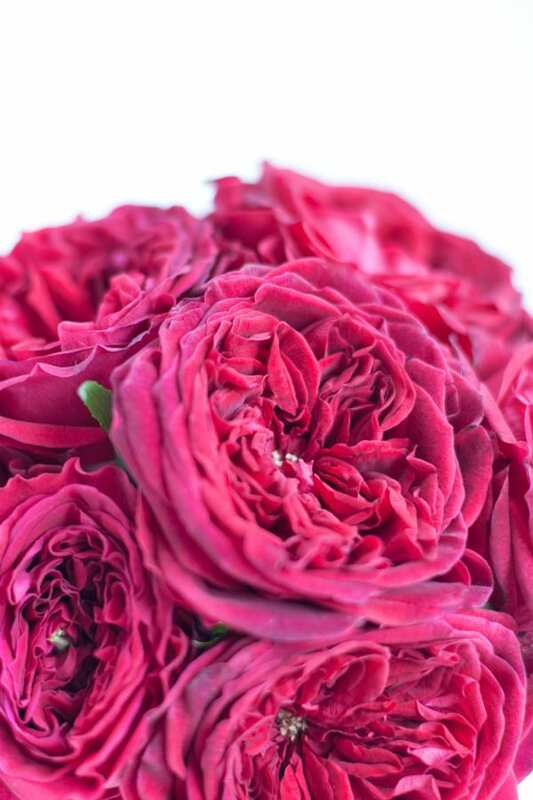 And Tess is perfect if you’re looking for a spectacular dark red rose! 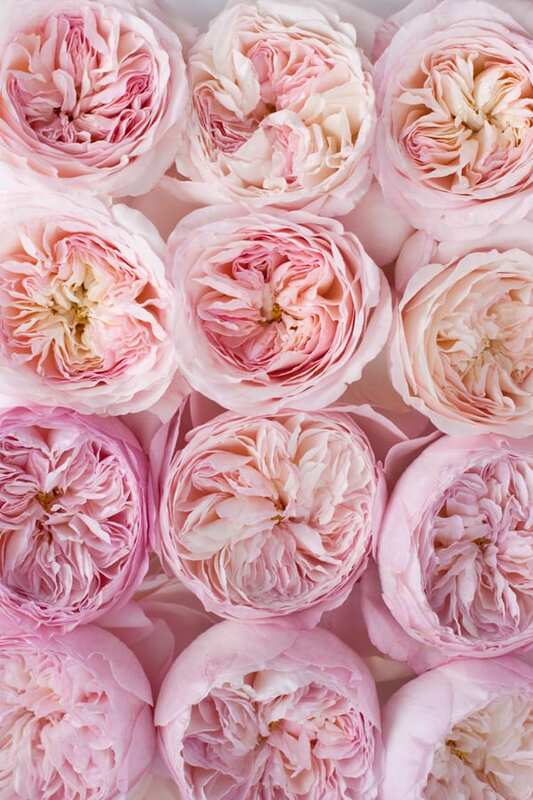 I was so impressed by the quality of these David Austin roses from Alexandra Farms! They arrived very carefully packaged and tight in bud, then over the course of a few days blossomed to such breath-taking, romantic flowers. If you’d like to follow Alexandra Farms on social media, you’ll find them on Facebook, Instagram and Twitter. P.S. On the Alexandra Farms website, there’s a comprehensive guide of what each rose variety looks like as it’s opening. Thanks for this Rona – Keira is my favourite too (although it’s a tough call! ).